Bruce has 35 years experience in executive, sales and marketing positions in high tech, manufacturing and distribution industries. Bruce’s experience includes start-ups, small companies and large global enterprises and is focused on driving companies to reach their full potential by becoming more customer focused, streamlined and value oriented. Bruce is presently General Manager for sales-i, a sales improvement solution that increased sales for manufacturing and distribution companies. Prior to joining sales-i, Bruce was Executive Vice President for GT Software, whose application development solutions help companies around the world to improve their brands and profits. His responsibilities included all customer-facing functions from sales and marketing to product and support. Prior to joining GT Software, Bruce was the Sales Director for the IBM’s North American Entitlement business, responsible to ensure Customer achieved the maximum value from their existing investments throughout IBM’s software portfolio. During this time, customer satisfaction improved while dramatically increasing revenues. Prior to IBM, Bruce was Vice President of Sales for OmniVue, a Microsoft VAR that architects and builds business processes that integrate sales, marketing, finance and operations data using the Microsoft Dynamics products along with OmniVue value-added solutions. 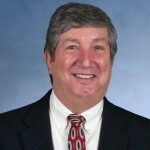 Prior to OmniVue, Bruce was Global Vice President of Sales and Marketing for Transoft with responsibility for Transoft’s portfolio of software and service solutions to modernize a wide variety of legacy technologies. Before Transoft, Bruce was Vice President of Sales for JDA Software where he led the growth of newly acquired Manugistics sales to CPG, high tech and manufacturing markets. Prior to joining JDA, Bruce held a series of increasingly responsible roles for Indus International, Lorentzen & Wettre, Honeywell, Ahlstrom and Reliance Electric. He is presently Founder and President of the Executive Sales and Marketing Association. He holds a Bachelors of Electrical Engineering degree from the Georgia Institute of Technology and presently resides in Marietta, Georgia with his wife, Lenora, and three children.